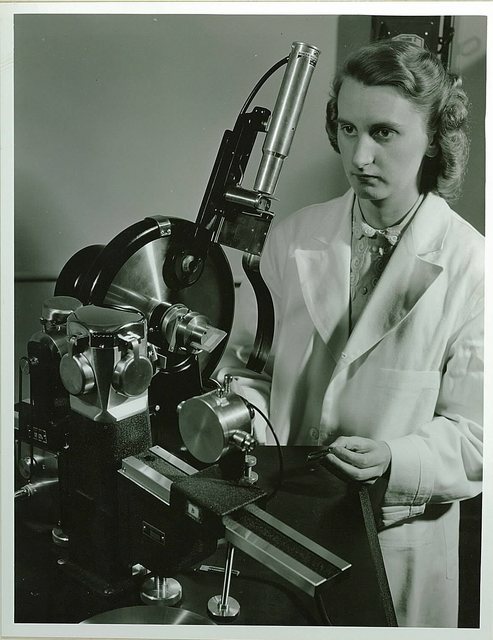 A collection of portraits deriving from those submitted for a series of historical reminiscences in Newsletter No 1 of the Canadian National Committee for Crystallography, published September 2009. 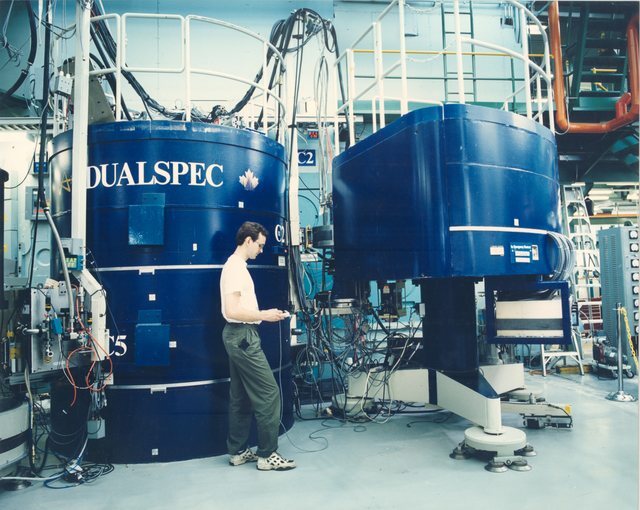 Ian Swainson at the DUALSPEC C5 spectrometer and C2 neutron powder diffractometer, Chalk River Laboratories, Ontario, Canada. circa 1993. 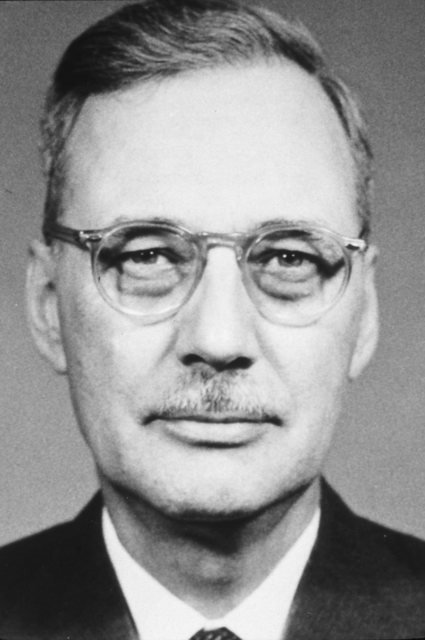 Graheme Williams, circa 1968. Photo courtesy Graheme Williams. Michael James. Photo courtesy Graheme Williams and Gary Brayer. 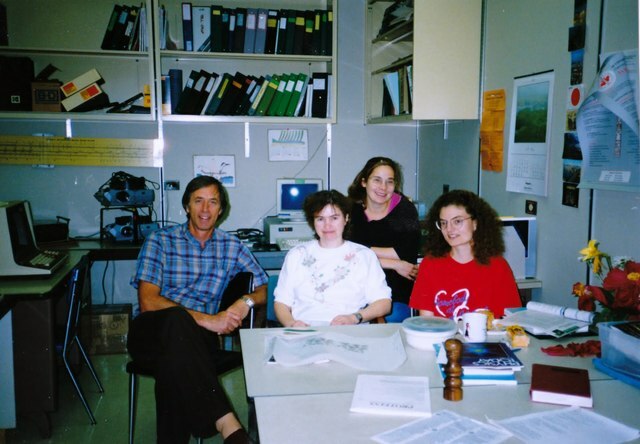 Michael James, Maia Cherney, Natalie Strynadka, Marie Fraser, circa early 1990s. Photo courtesy Graheme Williams and Gary Brayer. 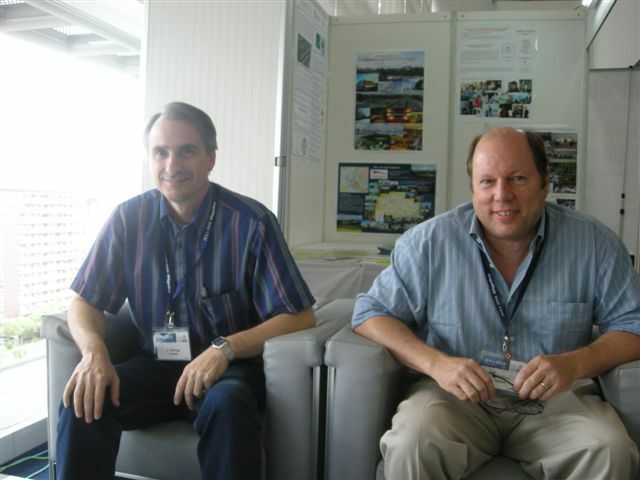 Joseph Schrag (CNCC Secretary) and Jim Britten (CNCC vice chair) at the Montreal 2014 booth, IUCr Congress, Osaka, Japan, August 2008. Photo: Marie-France Polidori of the Palais des congrès de Montréal. 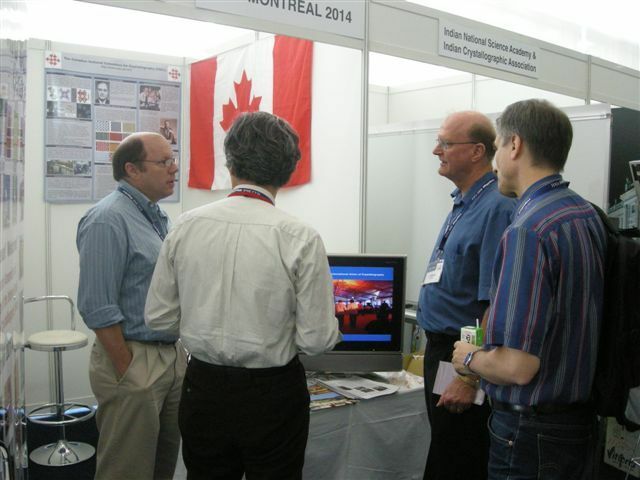 Jim Britten (CNCC vice chair), ?, Louis Delbaere (CNCC chair) and Joseph Schrag (CNCC Secretary) at the Montreal 2014 booth, IUCr Congress, Osaka, Japan, August 2008. Photo: Marie-France Polidori of the Palais des congrès de Montréal. 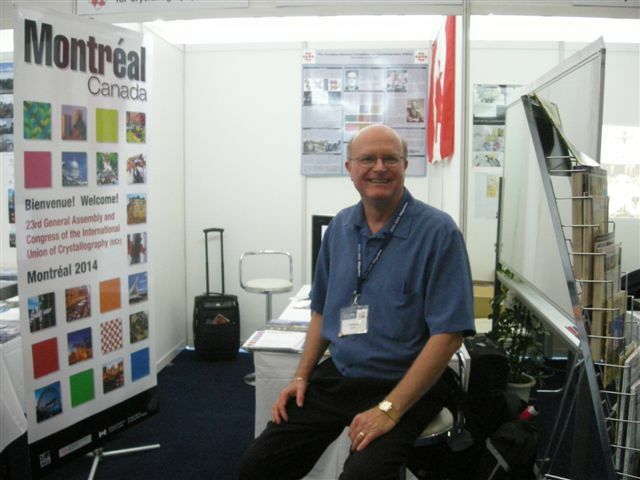 Louis Delbaere (CNCC chair) at the Montreal 2014 booth, IUCr Congress, Osaka, Japan, August 2008. Photo: Marie-France Polidori of the Palais des congrès de Montréal. 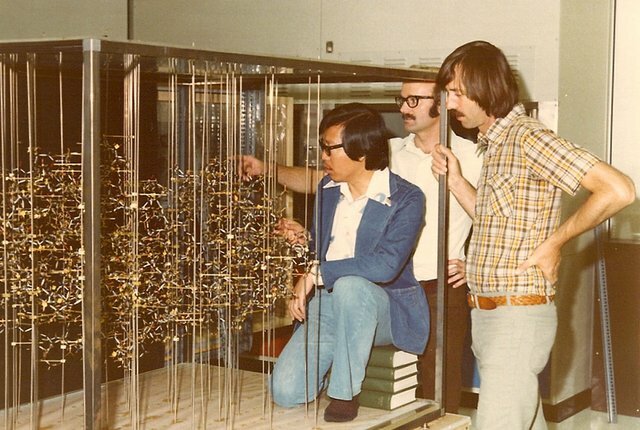 I-Nan Hsu, Louis Delbaere and Michael James examining the newly constructed model of Penicillopepsin (University of Alberta circa 1977). 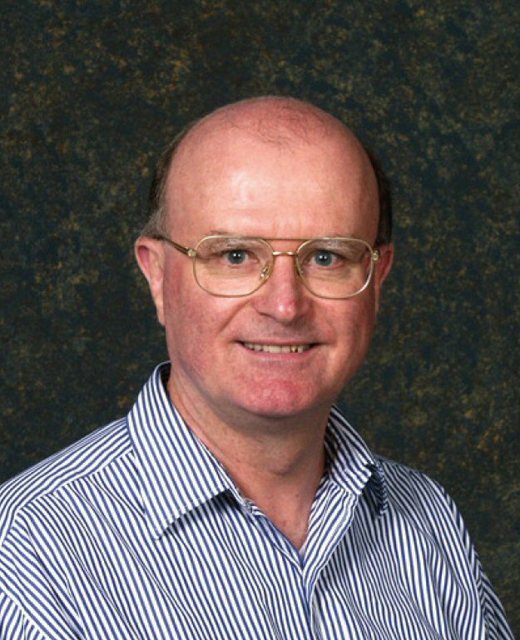 Photo courtesy Graheme Williams and Gary Brayer; figure caption Gary Brayer. 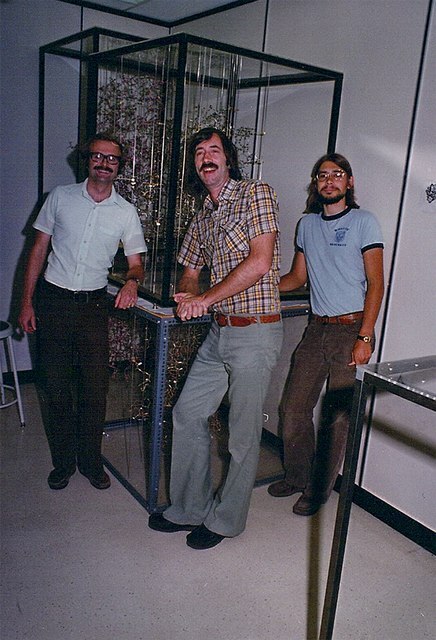 Louis Delbaere, Michael James and Gary Brayer celebrate the solution of the structure of Streptomyces griseus Protease A (circa 1978). Photo courtesy Graheme Williams and Gary Brayer; figure caption thanks to Gary Brayer. 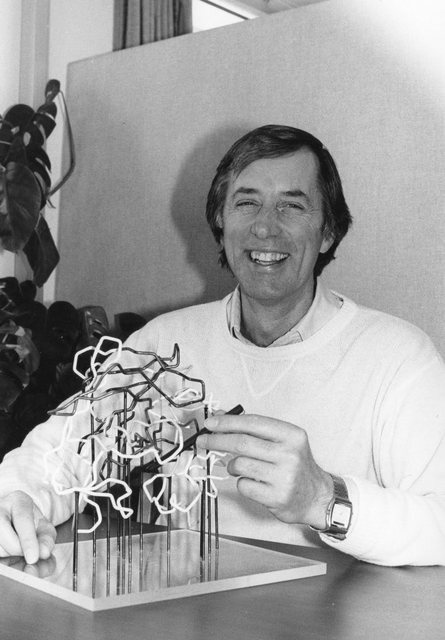 Gary Brayer, Michael James & Louis Delbaere discussing the solution of the structure of Streptomyces griseus Protease A (University of Alberta, circa 1978). Photo courtesy Graheme Williams and Gary Brayer; figure caption thanks to Gary Brayer. Michael James. Photo Graheme Williams and Gary Brayer. 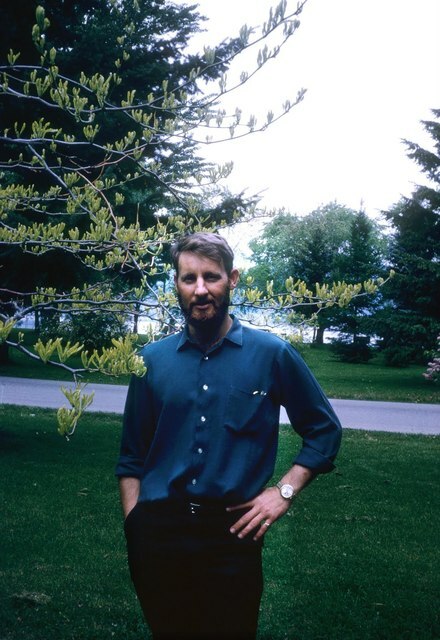 Louis Theophil Joseph Delbaere (1943-2009). 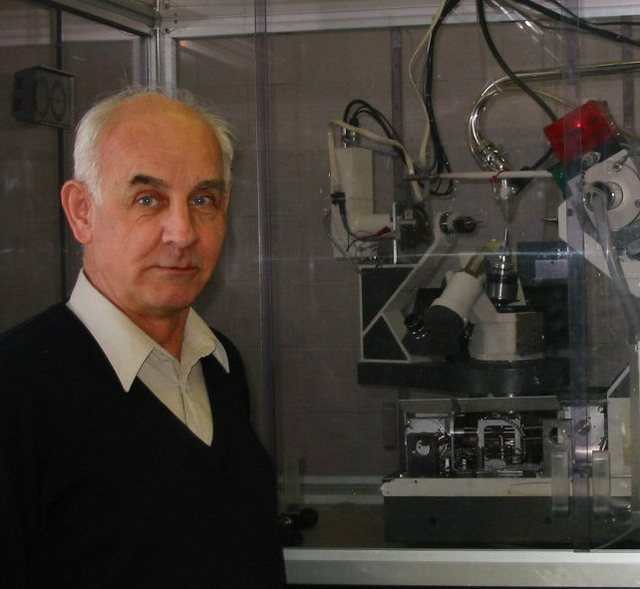 Louis Delbaere, Michael James, Bob Von Dreele. ACA 2009 Toronto banquet. Bretna Hackert, Marvin Hackert, Sine Larsen, Louis Delbaere, Carol Delbaere. 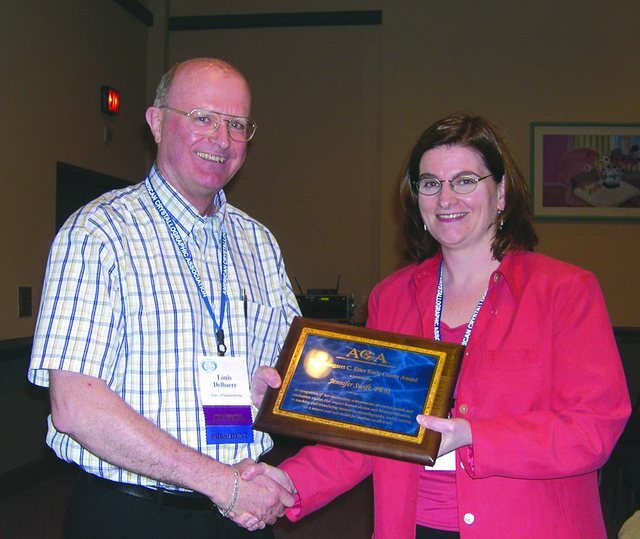 Louis Delbaere presenting the ACA Etter Early Career Award to Jennifer Swift (ACA 2005). 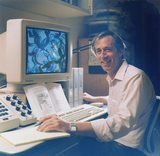 François Brisse, Université de Montréal. 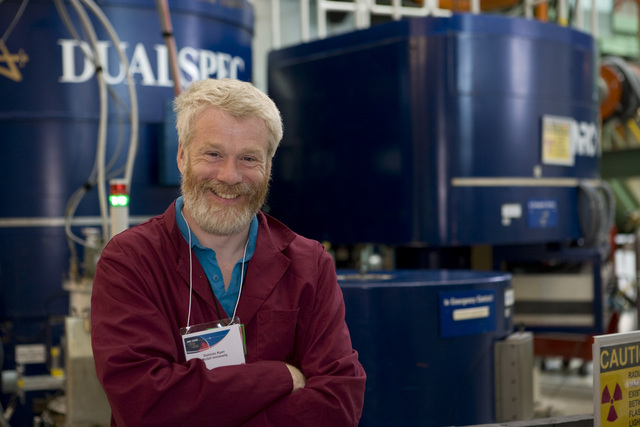 Dominic Ryan, Department of Physics, McGill University, circa 2009; President of the Canadian Institute of Neutron Scattering (CINS) in front of the DUALSPEC C2 and C5 spectrometers at Chalk River Laboratories. 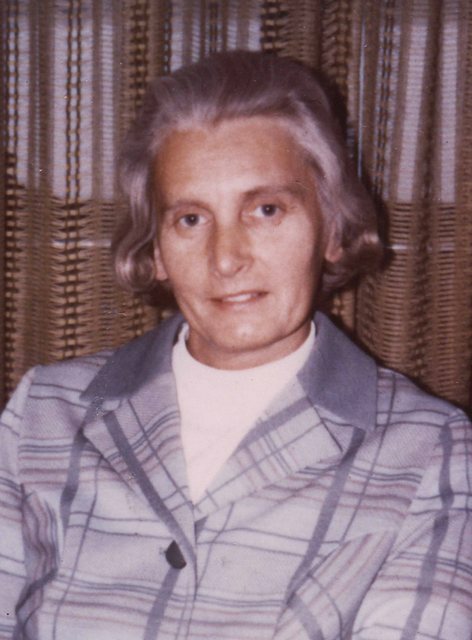 Maria Przybylska (1923-2008). May 1953.